When someone arrives in a new town, city or country, the first people they will see besides custom or bureaucratic officials are the movers. Being a moving company in Johannesburg, South Africa is more than having a large truck with movers in it, it is about the professionalism needed to carry out a successful job with no issues for the new home owners. A proper moving company in Johannesburg will be a member of the Professional Movers Association of South Africa (PMA) which means it adheres to strict protocols and levels of service for the public. Choosing a moving company that is part of the PMA will guarantee that the staff with the company are fully trained and competent in all levels of the company. You will have the ability to know that your belongings are utilising a comprehensive insurance policy while in transit, and the use of PMA-approved warehouse and storage facilities. Also, your furniture and possessions will be adequately covered with clean high quality packing materials during the move and the move will take place in a purpose designed removal vehicle. Last but not least, using a PMA approved company will allow you to bring up through a national executive committee any issues or complaints you have if the move takes place within the borders of South Africa. It is easy to get caught up in the hustle and bustle of a big city like Johannesburg. If you are planning on looking for a moving company in Johannesburg, make sure to shop around you You should look for a company that suits your moving needs. One that moves within Johannesburg or out to another major city centre such as Durban, Cape Town or any isolated areas in South Africa. If your Johannesburg based, moving company is not a member of the PMA, they are not to be trusted. It takes a company made up of good people who are accredited by the PMA to be a great moving company in Johannesburg, South Africa. Moving can be a stressful event because there are a lot of things that should be done and your assets need to be taken care of. Having thefts inside the home or during the moving process is the last thing you need. So how do you avoid thefts during moving? Here are four ways to avoid moving day theft. First of all, you can ask friends or family members to help on your moving day. They can be watchers for the movers and laborers. Of course, these are the people you trust and they will not steal from you. make sure all valuables are boxed away and sealed. Also, if you have very valuable items such as jewellery, watches etc take them in a bag and keep them on your person. Keeping an inventory of all the stuff you bring out of the house and inside the truck is also one of the four ways to avoid moving day theft. You should have a moving day list for organisational purposes so use it for both purposes. Stay beside the truck as much as possible to watch if everything on the list is getting safely inside the truck and no one puts anything inside their bags or pockets. The third way to prevent thefts is keeping your money safe. The last of the four ways to avoid moving day theft you should do is to follow the moving truck once it dispatches to the new place. You can drive your own car behind the truck or have someone follow them for you. This will make sure that they will definitely go to the new place and not bring your stuff somewhere else. This will also help in watching the movers bring your stuff inside the new place. Moving is an extremely stressful process, the last thing you need is theft and loss. The most important thing is to make sure you use a South African moving company with a good reputation – someone you can trust. Relocating entails a lot of expenses. 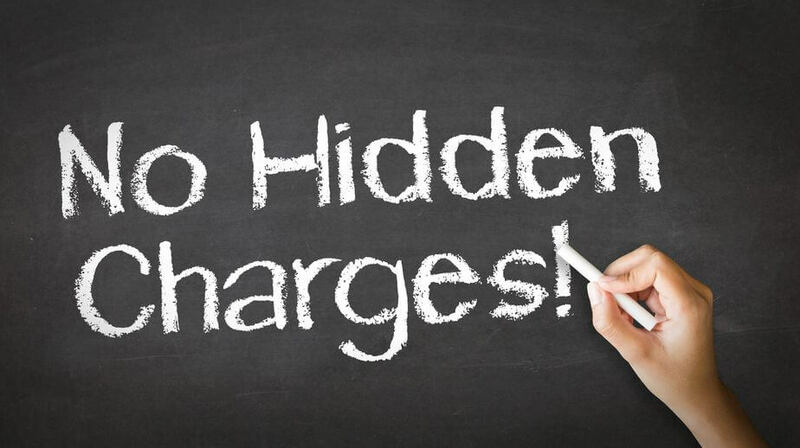 There are even times when people who are moving are faced with unexpected expenses when they get their bill. This is especially true when you are moving bigger items of furniture or equipment. With a few affordable alternatives when moving equipment you can spare yourself from the unnecessary trouble of having to deal with all the unexpected charges. The first thing to do is to determine whether or not you really need to move your equipment. There might be instances when you would be better off buying new ones when you get to your new location. For businesses that are moving, however, this is easier said than done as machinery and manufacturing equipment might not be all that inexpensive. Still, it would be worth the effort to check if there are items that already need to be replaced. Perhaps it is time to think of upgrading your machinery as well. 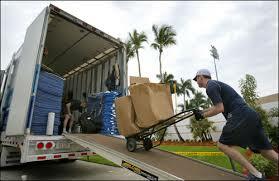 When you are sure that you want to move your equipment, you can contact professional movers to ask for quotes. Some movers offer flexible arrangements and affordable alternatives when moving equipment. For instance, instead of hiring movers for all the moving tasks, you can take the option of renting a moving trailer which could be attached to your own vehicle. This way, you only pay for the size of the trailer or the portable storage. The moving company will simply take care of delivering the trailer to your old location and picking it up from your new site. You can also opt for a package that allows you to do the packing and loading yourself. You might already have personnel in your business to do this for you. The moving company can deliver the moving trailer or the storage container to your old location and give you a number of days to do the loading. They can come back on moving day to hook up the trailer to their own moving vehicle. By exploring the services available from moving companies, you will be able to pare down your moving expenses even if you have huge equipment to transfer to another location. Yes, moving can be a great hassle. But don’t make it worse by stressing the kids out as well! Doing so would only make things a lot more difficult. Take note that it is not only you who is bummed about all the moving. Moving with children can be an issue because your kids might also find it saddening to actually leave the place where they grew, especially if they already have friends the area. For all you know, the place that you’re about to leave could be your child’s safest haven. So it is important to try make it more enjoyable and fun especially for the little ones. It may seem very difficult to cope with how your little ones feel regarding this move, all the more if they refuse to talk to you about it. So here are a few tips on how to handle Moving with children and to somehow ease the pain of moving them away from their once called home. By doing so, you could not only create a special bonding moment for the family, but at the same time, you could actually prevent making your child feel excluded and left out. This way, you could make him or her feel that you value his or her emotions as well. Collect all the memories that your child has experienced in that old home, and compile them all in a single book. Let your child decorate it in the most creative manner he or she can. This way, you could make him or her feel that the memories that he or she has had are important to you, too. Make them feel that they will never be forgotten by their friends by hosting an age-appropriate party. On the day of the move, let them help decorate their new rooms. Let your child be creative! By letting your children do this, you are already helping them create a new safe haven for themselves. Moving with children can still be made better in a lot of other ways. Think it out, let your imagination run wild. Of course, it may take a while before your child gets used to the new environment. So while the little one is still adapting and adjusting, always take time to reassure them that everything is going to be just fine, and maybe even better than before. When you move to another place, protecting your belongings is a must. That is mainly the reason why you go through all the hassle of buying and packing boxes, and carefully wrapping your plates and glasses with newspaper or even bubble wraps. But take note that these aren’t the only things that need protection. Let’s talk about the floor of your new home, shall we? Isn’t it amazing to look at? All shiny, spotless, and free from scratch. To all you movers out there, wouldn’t you want to keep it in that condition for a long period of time? Wouldn’t it be such a shame if the floor that you very much admire would just get scratched as you move your furniture and other belongings around? Don’t you fret, because here are a few ways on how to prevent scratching you floor. First off, ensure that the floors are covered with too much dirt. Placing doormats on every door that is to be used during the hectic move could help you do this. Advise the movers, or even your family members to wipe their feet before they enter the house. Next, why not use old carpets to cover the floors first as you move furniture around? This way, the floors could be both free from dirt, and free from scratch. After the move, you could just simply remove these carpets and dispose of them if you’d like. Lastly, do not underestimate the power of furniture sliders or pads. Place them under furniture and appliances that are way too heavy to be carried. 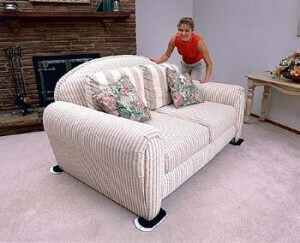 This would not only facilitate easier moving, but would also render your floor scratch-free. Looking for assistance with your move? With Movingcompanies.co.za you are guaranteed Affordable , convenient, professional furniture removal. Your First choice in Furniture removal. Moving Furniture: ‘Help, My Furniture Won’t Fit Through The Door! At last, the day has come. You’re already standing on your new doorstep. You’re ready to settle down, and breathe in the new air of the place that you’re about to call home. And then suddenly, you discover that the furniture wouldn’t fit through the door. Isn’t that just a bummer? As disappointing as it may seem, this scenario is actually a very common moving problem. Houses are different, keep that in mind. Your lovely pieces of furniture may be able to fit through the door of your old home, but that doesn’t automatically mean that it would also fit through the door of your new one. But don’t lose hope just yet, for there are still a couple of remedies that you could do to get those beautifully crafted pieces of furniture inside your new home. Before Moving Furniture, take time to get the dimensions of your new house. Know the measurements of the door, the passageways, the stairs, and every part you feel is essential. Once you have the complete list of measurements, compare these to your old furniture. You might have to dispose of some tables and sofas that are too big for your new house, but hey, that’s very normal in moving. 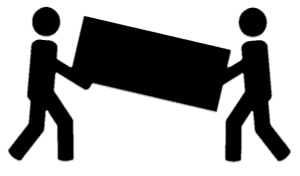 Another remedy is to try making the furniture fit by using different angles, but remember to be very careful! You wouldn’t want to scratch anything in that new house. If it fits, it fits. If it really doesn’t, don’t push it! For the last remedy, try disassembling the pieces first, but only if it is possible. If the legs of your table could be removed, then do it. There is nothing to worry about since you could always put the pieces back together, anyway. No matter which remedy you follow, always remember to do whichever feels right. But then again, you have to put utmost care in it. Or else, you might only end up with wrecked door frames, damaged furniture and scratched floors. Feeling all stressed and bummed out about moving to another home? Your pets could be feeling the same way, too! Some Families like referring to their pets as members of the family. Families cherish them for they bring joy, comfort, and sometimes even protection. So when it’s time to pack your bags and move, it only natural to take your precious pets with you as well. It may sound easy, but there is so much more to moving with pets than just simply bringing them along with you. Just like humans, pets have already been accustomed to the environment which served as their shelter for a period of time. If you move them to another place too rapidly, chances are, they might get a bit insecure and sensitive about their new home. As a result, they could exhibit certain negative habits and behaviour. 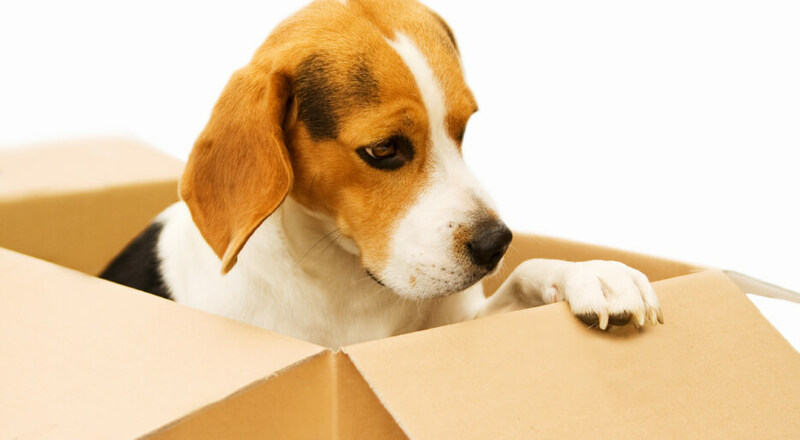 While moving with pets could indeed be a serious issue for pet owners, there are of course a few ways to minimize, if not to totally avoid all the hassle and stress that might come your way. Take your pets to visit the new home before you settle permanently so they are familiar with the place. Lastly, make sure that the travel would be as comfortable as possible for your pet. Make sure that the vehicle is properly ventilated, and food and water are available to your pet for the duration of the travel. If you are to travel by plane, then make sure that the same arrangements are made even before you board. Once you’ve reached your new home, help your pet adjust and feel comfortable with the new environment by paying close attention and letting the pets explore. This may take a while though, but everything can be managed one step at a time. If you are in your 20’s, 30’s, heck, even your 40’s, moving from one place to another may simply mean that you’re about to embark on another chapter of your life. But when it comes to the elderly ones, it could mean so much more. Senior relocation may be such a difficult moment to undergo for several, different reasons. For one, our grannies and grampies may feel like this is the last move of their lives. How on earth are they going to deal with that so easily? Also, the thought of having to leave the place they once called home could be an issue, considering all the meaningful memories they’ve been able to experience in there. We have to admit that our elders could be a little more sentimental about this kind of stuff. 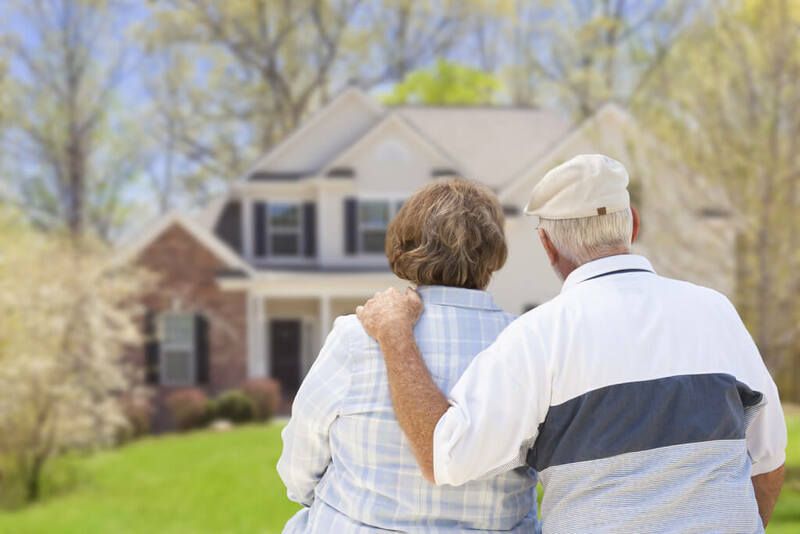 Indeed, senior relocation could bring about a lot of concerns and issues—those that could even serve as blockades to your already fixed plans of moving. Among those issues is a condition which we refer to as the RSS or the Relocation Stress Syndrome. The RSS, also referred to by others as “Transfer Trauma”, is characterized by the occurrence of disturbances, both psychological and physiological, which results from having to transfer the person from one place to another. This said syndrome may cause our dear elders to feel disoriented and depressed, conditions that could be harmful to the health of our loved ones. It is a bit saddening to know that these kinds of things happen during senior relocation, but don’t worry too much for these could be managed. The most important thing to consider is to make the move as easy as possible for the elderly. Include them in the process as you accomplish and go through your moving plans. Keep on asking them about how they feel towards every aspect of your move. Honor their preferences as well, and pay attention. The next thing you know, they’re about as excited as you are in embarking on this new adventure. Moving houses or offices brings a lot of concerns into the picture. First, are you financially stable to cover for all the costs that you’re about to incur? Then there’s the huge possibility of being too sentimental about leaving that old, reliable place that you once called home. And more importantly, who wouldn’t be thinking about the protection of the property that you’re going to be taking with you as you move? While most people say that moving went smoothly for them, this is not always the case. The bottom line here is that accidents can and may happen. You have no total control over your properties once they’re loaded on that moving truck. Your most prized possessions could get damaged, or even lost. Now, what can you do about that? Remember that even if you choose the most reputable moving company in the business, mistakes do happen. 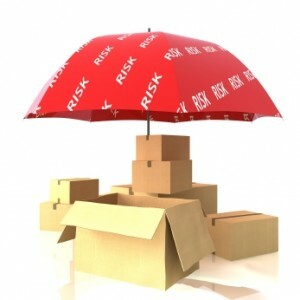 Boxes can be dropped or crushed in the truck, furniture and appliances can be scratched. Unfortunately, even with the presence of a moving insurance, you cannot guarantee that your possessions would be delivered at your doorstep safely and free from damage. You can hope, of course, but chances are you’ll only end up disappointing yourself. With a comprehensive moving insurance plan you can ensure that you are properly compensated for any damage that might be caused by accidents that could occur during moving. While it may still sadden you to have to let go of whatever that damaged or lost possession is, being covered for the said unfortunate event is far better than ending up with nothing. All one needs to do when filing for moving insurance is to complete inventory sheets, we recommend you take photos of your expensive items before the move, check goods after the move and then file a claim if anything did go wrong. Indeed, giving moving insurance a try wouldn’t hurt. Come to think of it, who wouldn’t want a little peace of mind when it comes to your most treasured possessions, right?